Encore is one of the latest hotspots in Scheveningen Harbour. Located in Scheveningen's former fish auction hall, the restaurant, which is part of the Simonis family business, offers high quality dining. Whereas the other restaurants in this Hague family business are primarily renowned for their fish dishes, Encore offers a wide range of fish and meat dishes with a nod to Asian cuisine. Here you will find top-notch food in a chic, international setting! 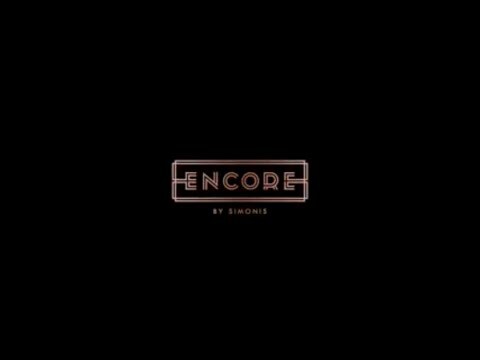 Encore by Simonis goes hand-in-hand with quality. For fish and meat lovers, Encore offers a wide range of top-quality dishes. It goes without saying that Encore serves the best fish, prepared in contemporary style. The menu is internationally oriented with a nod to Asian cuisine, primarily Japanese. The menu includes dishes such as sashimi, tempura and robata. The meat dishes are primarily American style. Encore also has an extensive wine list with a choice of around twenty open wines! Encore's interior is rugged with dark colours, gold and copper accents, and a large bar in the centre. The Simonis men gained inspiration for Encore's interior at other restaurants including Zuma (Japanese) and the Asian bistro Tao in the centre of New York, known for its cosmopolitan atmosphere and chic touch. Simonis is a Hague born-and-bred, close-knit family business with a passion for fish. That passion spans generations of the Simonis family, the fourth so far; it's in their blood. What began in the late 19th century as an eel smokehouse has grown to become a specialist in fish cuisine, with several locations. The Simonis Family is passionate about fish, and shares that passion for fish and everything associated with it. If you like the atmosphere at Encore, but would prefer a menu with a wider range of fish dishes, why not try Catch, another Simonis family restaurant at the opposite end of the row of harbour-side restaurants. The team of chefs at this international fish restaurant present the most delightful dishes, from monkfish and special oysters to fantastic platters of seafood.